Google My Business is a place where you can create and verify your local business on Google. This allows people to see your business when doing a local search and also enables your location and some information to appear on Google Maps. 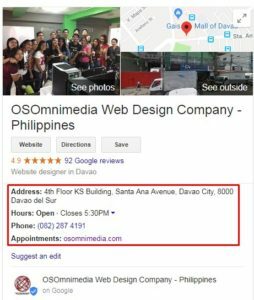 If you’ve ever searched for Osomnimedia you’ll see a box appear to the right hand of the results. This contains a short blurb about the company, social links, and other companies that are usually searched for by association. You’d also see opening hours, address, and any other information that Google thinks you’d be looking for. While some think of Google My Business as a simple directory listing, it actually does more than that. It can boost your local SEO and offer a marketing opportunity to attract thousands of unique users every month. 1. It generates more revenue. Google My Business can help your business generate more revenue. This is done by drastically increasing your chances of being found online. As a free business listing, it allows you to start building your business visibility in Google Maps and Google Search for your local community to easily find you. But of course, you need to optimize your Google My Business profile to land near the top of the local listing results. 2. 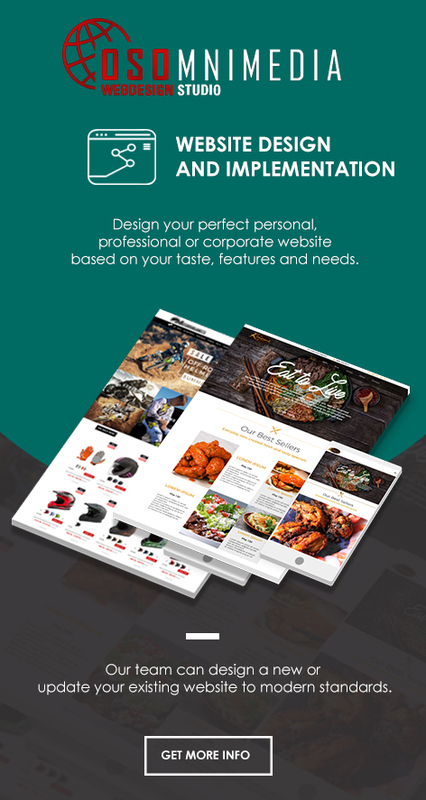 It displays useful information about your business. As stated, Google My Business requires you to put up important information about your businesses for searchers to see. This information includes operation hours, busy periods, directions, photos, contact number, and a business description. 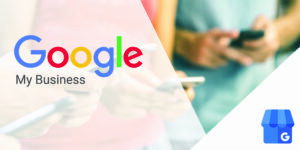 Google My Business is also a place where you can make important business updates that can be immediately seen by searchers. 3. It gives your business better search visibility. 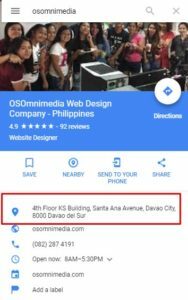 When you go to Google and search a product, you might notice a high-visibility panel located near the top of the page that shows a map and local business listings with their information. These are populated with Google My Business Listings. Appearing in this section gives your business a better chance of getting customers who actually search for your product. 4. 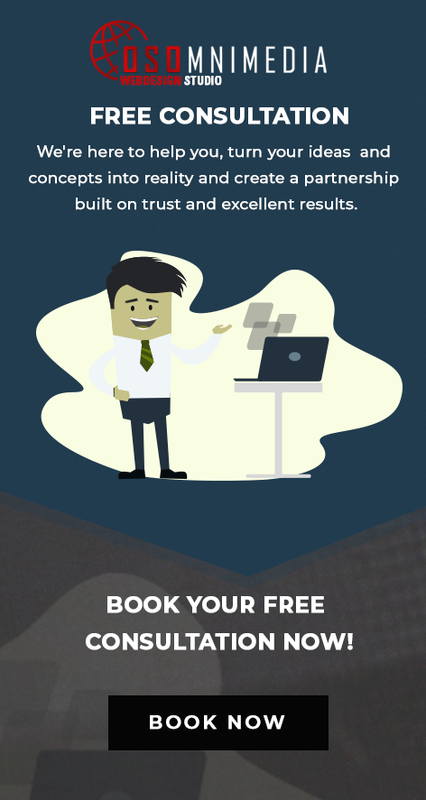 It gains insights from your customers. Google My Business features “Insights” tab that offers its users access to a wealth of analytics. The information in the tab can be customized by the users, but it is usually made up of three main sections: visibility, engagement, and audience. You can use these statistics to improve your e-commerce website’s engagement and sales. 5. It helps customers to find your physical business location. More importantly, Google My Business requires you to list the exact address and location of your business on a map. This provides a big help for searchers who actually want to find your local store. 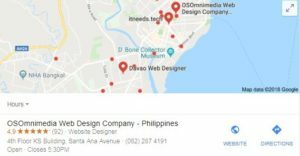 Users can now click the map on your Google My Business to automatically connect to Google Map and get the exact directions on how to get to your store. 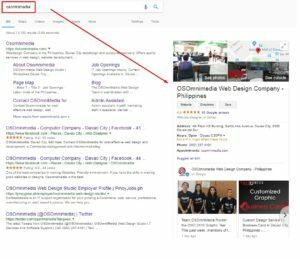 You can find out more about the Google My Business Posts, or any other aspect of your web marketing strategy, by contacting us today (082-287-4191 / info@osomnimedia.com). Our marketing team will help you put together the perfect plan, integrate the right tactics, and deliver the right message to maximize high-value lead generation through your web presence. We also offer other IT work and web design services for your businesses. Visit our Products & Services page to see the entire list of what we can offer.